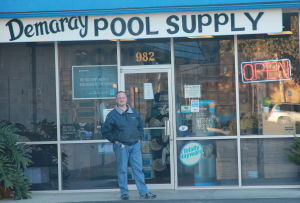 Welcome to Demaray Pool Supply! We have been serving Northern California since 1977. We are the oldest operating retail swimming pool company in Vacaville and Fairfield, CA. In addition, we have been serving parts of Sutter and Yuba Counties since 2002. Our goal is to provide a friendly and highly knowledgeable staff to serve you with all of your swimming pool and spa needs. By placing a continued emphasis on staff training, we can help all of our customers whether they are novice or experienced pool owners. In addition to our retail stores Demaray Pool Supply offers weekly pool cleaning service through our Service Department. Our pool service areas include Vacaville, Fairfield, Yuba City, Marysville and Sutter. Read more about our pool service. As a licensed contractor we can perform any above ground pool or spa repairs and equipment installation. For more information see our repair department. Our staff consider themselves consultants rather than sales staff. Upon analyzing your swimming pool issues, we offer various solutions based on your individual needs. We also explain the pros and cons of each solution so you can make educated decisions. Finally, we explain the “how to” upon making your purchase. In addition to being a source of information for you, we invite you to check out our large selection of competitively priced quality products. Thank you for visiting our site! We hope to see you in our Vacaville pool supply or Yuba City pool supply store soon. 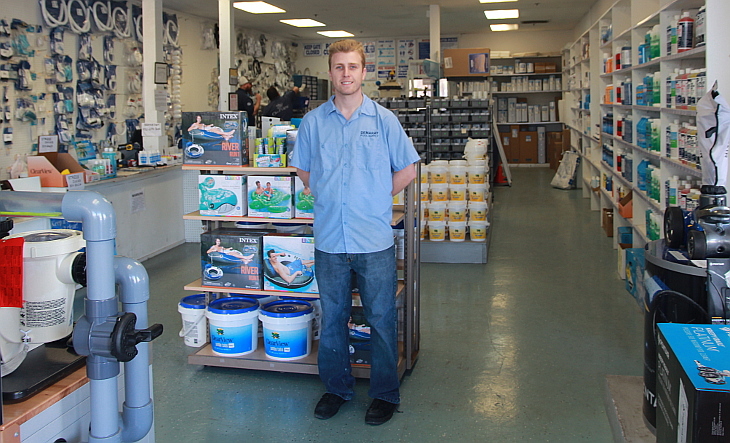 Family owned and operated pool repair and retail pool supply stores since 1977.